Gift cards purchased on this website will be sent to the purchaser to the address that is provided on the pay pal check out by USPS mail. If you need it sent to a different address please make sure to change shipping address at check out. Please e-mail our office at tranquilitydayspatxk@gmail.com or call our office at 903-791-9922 and leave a detailed message if you need further assistance. Must read before making your purchase. POLICY CARDS ARE GIVEN WITH EVERY GIFT CARD PURCHASE. All sales are final. No returns, refunds, or exchanges at anytime. 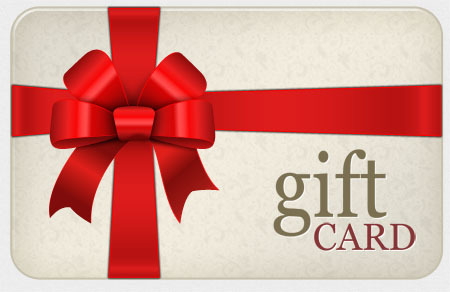 Can not be combined with any other gift card, offer, discount, or special of any kind nor any salon service. Must let office know when setting appointment that it is for a gift card redemption. Please have gift card when calling, to set correct appointment. Allow time, we do book up, no appointments will be set after exp. date. Must be presented before services are rendered. 24 hr notice is required before your apt DATE, not time, for any cancellations. If not given, card will no longer be valid. Appointments set @ 5:00 or past 4:30 will have additional fee, to be paid by cash. Any client under the age of 18 will require a guardian to sign in. Additions maybe made with out notice and will take effect of current time. We are not responsible for lost, stolen, or damaged gift cards. By proceeding with your appointment, you are stating you accept and will comply with all spa policies with out written approval. Gratuity (Tip) is not included in prices of services nor can the gift card be used in place of a tip. Please note , in order to view VIP Members only page you must be a VIP member and contact our office for your personal log in information. You may become a VIP member by purchasing the membership online or you may call the office or come into the office to make that purchase. Please feel free to contact our office at any time with any questions you may have and we will be more than happy to help you. We look forward to seeing you, your friends and family for all of your Spa and Salon needs.